Plenty of “facts” about the world’s most poisonous spider are misleading, inaccurate, or outright wrong. One common belief is that the title of most poisonous spider belongs to the daddy long legs. As the rumor goes, the spider is supposedly highly venomous, but its fangs are incapable of penetrating human skin making them harmless to us. This is simply not true and various scientists have disproven it. Additionally, it has been suggested that the venom secreted by the daddy long legs is actually NOT particularly harmful to a human, even if we were injected with the venom. When it comes to determining the world’s most venomous spider, it is important to figure out whether the venom it excretes will cause harm to the human body. This is necessary because there are many spiders whose toxins are highly effective on their prey, but humans are not their prey. If you’re only looking at how toxic the venom is, most people think that the black widow is the most toxic, but this is also false. Black widow bites rarely cause death or serious illness. Those who are allergic to the bite are the only ones at serious risk, more often than not the individual experiences pain and some illness. The spiders that are truly dangerous to humans are funnel web spiders and brown recluses. Brown recluses live in only some areas of North America, whereas funnel web spiders populate the Australian continent in various well-documented areas. The venom from either of these spiders can result in serious illness. If a child is bit, their chances of survival are low. However, it must be noted that instant death from a spider’s bite is highly uncommon. And over all the cases where an individual is reported to have been bitten from either of these spiders, the mortality rate is quite low. 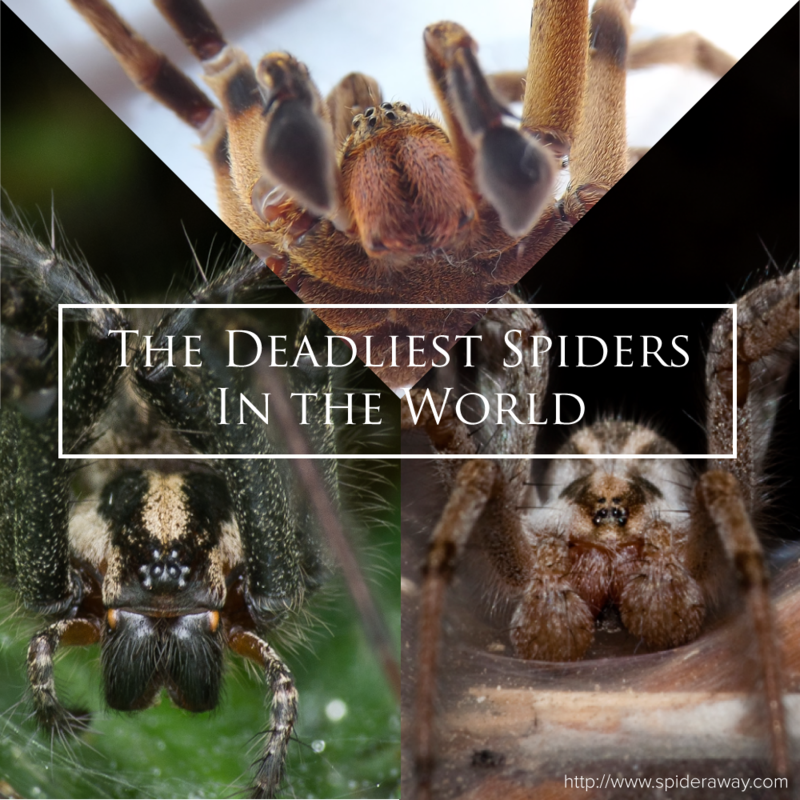 A runner-up for the title of world’s most venomous spider is the Brazilian wandering spider, and death rates from this spider’s bites are consistent with findings from cases involving the top two spiders. Fatal bites were administered in less than 1% of all reported cases. When it comes to treating funnel web spider bites, hospitals administered antivenin in only 10% of the cases. This is because when spiders bite, they do not always secret venom (or only small amounts of it), however this depends on a case-by-case basis. Most often, when an individual is bit by a venomous spider, they require medical attention but will not receive antivenin shots. Whatever the case, just to be safe, those who have been bit by a spider should not take any risks and go to a hospital. After all, even though the possibility of a fatality is low, let the nurses and doctors be the ones to decide what needs to happen. It can be difficult to determine specifically which spider bit you – is it a harmless spider, or should you be rushing to the hospital immediately? Just remember, it’s better to be safe than sorry, and proper treatment should be sought out quickly if possible.